Last year our minds were blown by the idea of a vodka ice lolly bar. Now it's back for one night only on Saturday 28th June in the form of a cocktail ice lolly bar, at The Dentist in Chatsworth Road (a bar that used to be a dentist). New recipes, new alcoholic drinks... This is going to be popular so please RSVP to poptailsdreams@gmail.com to ensure that you can get in. A simple mix of a POPsicle (the US version of our ice lolly) and a cockTAIL. In other words it’s the perfect combination between refreshing sweetness and your favorite alcoholic beverage. A year ago we have launched the first VODKA ice lolly pop-up bar in London…a year later, we are back with a COCKTAIL ice lolly pop-up bar! We have refined the concept using a wide range of alcohol and have created new recipes, mixing a variety of fresh fruits the summer will (eventually) have to offer us. Homemade, using premium alcohol and all-natural ingredients, every ice lolly is an original creation, conceived and created for this event. From revisited classic cocktails such as the Bloody Mary to a Whiskey Sea Salted Caramel, expect the most unusual flavors on your stick! Taking place in an old dentist practice in Clapton, let’s enjoy a Poptail along with organic food, concerts and new friends in a tropical and summery atmosphere. Foodies, people looking for a refreshing drinking experience or simply curious, don’t miss the chance to discover these frozen treats. 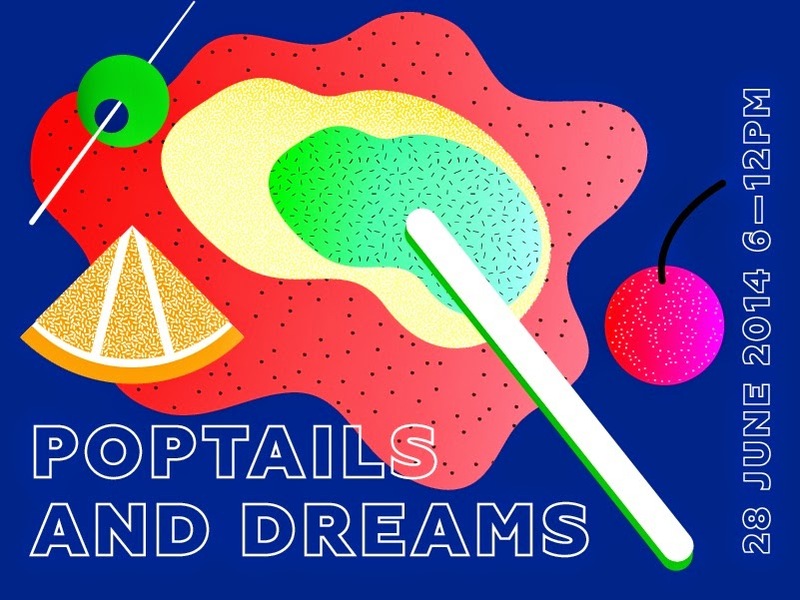 Poptails and Dreams is not just an event, it’s a summer celebration of a new way to kick back with a cocktail on a stick."